Calcium carbonate is an inorganic salt used as an antacid. It is a basic compound that acts by neutralizing hydrochloric acid in gastric secretions. Subsequent increases in pH may inhibit the action of pepsin. An increase in bicarbonate ions and prostaglandins may also confer cytoprotective effects. Calcium carbonate may also be used as a nutritional supplement or to treat hypocalcemia. Vitamin D is a group of fat-soluble secosteroids responsible for increasing intestinal absorption of calcium, magnesium, and phosphate, and multiple other biological effects. 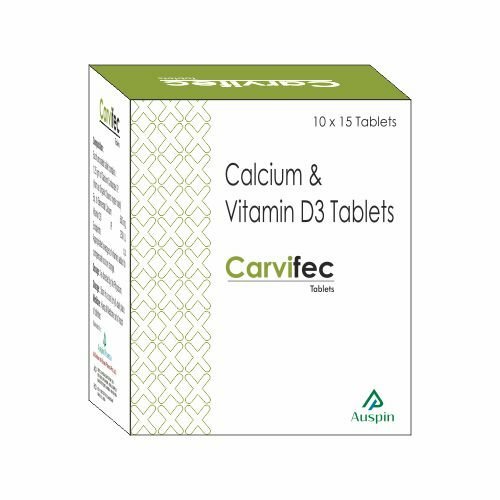 There are 2 main forms of vitamin D; vitamin D3 (also known as cholecalciferol) and vitamin D2 (ergocalciferol). These compounds need to undergo hydroxylation in order to be biologically active in the body. 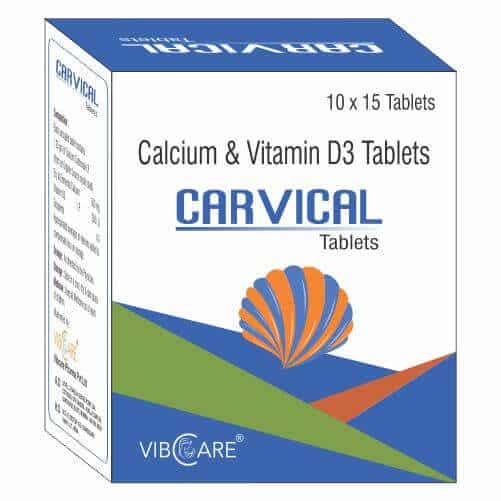 Since vitamin D can be synthesized in adequate amounts by most mammals exposed to sufficient sunlight, vitamin D acts as a hormone that acts on vitamin D receptors to regulate calcium in opposition to parathyroid hormone. Vitamin D plays an essential physiological role in maintaining calcium homeostasis and metabolism. 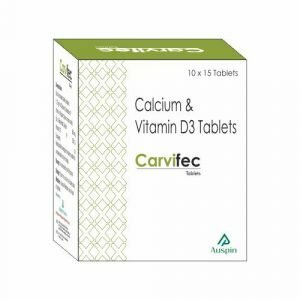 There are several different vitamin D supplements that are given to treat or to prevent osteomalacia and rickets, or to meet the daily criteria of vitamin D consumption. Skin irritation, Drowsiness and confusion, Allergic rejection of the drug by body, Bloating, Constipation, Muscular weakness, Vomiting and nausea, Increased calcium levels in blood and urine, Excessive thirst, Loss of appetite, Hypotension and/ or hypertension, Dry mouth, Stomach Ache, Headache with fever, Chest pain, Diarrhea, Sleeping disturbances, Dark or greenish stool, Difficulty in urination, Cramps and abdominal pain, Elevated liver enzymes are the common side effects that can occur from Shelcal 500. Please consult your doctor if you observe any of these side effects. For relief of heartburn and acid indigestion. May also be used as a nutritional supplement or to treat hypocalcemia.